The organizations and governments that are setting goals for a clean-energy future are acknowledging a crucial truth: The future we dream of is only possible if we get our energy systems out of the past. The future has arrived — mostly. With a click of the computer in your pocket, you can pay the bills, read the news, listen to music, even manage the temperature of your home from miles away. Whole books can fly through the airwaves into your handy device. An electric car — the Chevy Bolt — was Motor Trend’s 2017 car of the year. But when it comes to how we power our homes, businesses and communities, we are stuck in the past. We’re still digging up and burning irreplaceable and finite fossil fuels, doing lasting damage to our environment, our health and our climate. We’re fracking for gas near schools instead of putting solar panels on their roofs. We’re searching or drilling for oil along our coastlines instead of harnessing the winds that blow offshore. We’re still burning coal, oil and gas to power too many homes, schools, churches and workplaces. All of that drilling and burning is making American children sick, cutting short the lives of parents and grandparents, and destabilizing the climate. Instead of putting an end to our nation’s addiction to fossil fuels, President Donald Trump — on a crusade to protect coal plants — is directing the Department of Energy to take “immediate steps” to prevent the further closures of coal and nuclear power plants around the U.S.
Bruce Speight is the director of Environment Washington, a statewide, membership-based environmental advocacy organization. Kim Rice is the chair of Mercer Island’s "Ready for 100" campaign. We have the technology to bring our energy sources into the future. We know how to harness clean, abundant energy from the sun and wind more efficiently and cheaply than ever before. And experts agree that if we combine these clean-energy sources with increased energy efficiency, a world powered by clean, renewable energy is increasingly within our reach. We’re already on our way. America produces nearly eight times more renewable energy from the sun and the wind than we did in 2007, while the average American uses 10 percent less energy than a decade ago. 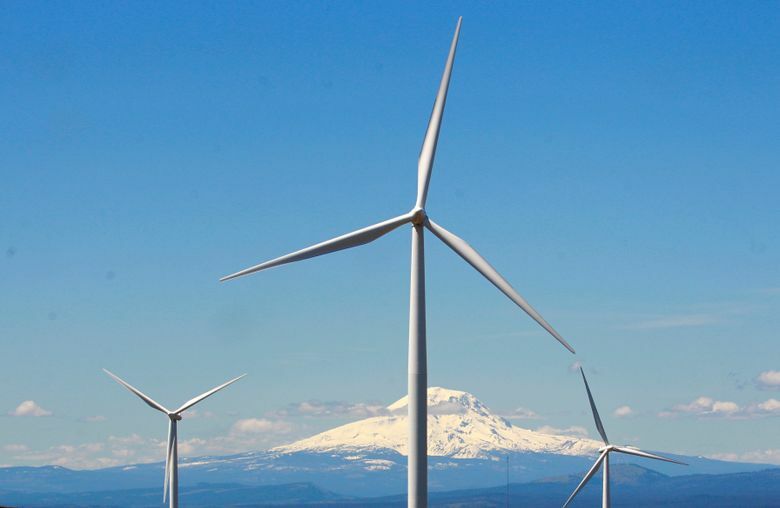 Washington state has seen a more than 170-fold increase in the amount of power we get from the sun and a more than threefold increase in wind energy production since 2007. So, what’s holding us back? We’re stuck in old ways of thinking about energy — old ways of capturing and delivering it that worked in the 19th and 20th centuries but have no place in the 21st. Across the country, communities are coming together to do just that. Neighbors, institutions, businesses and even state governments are putting clean-energy solutions in place and setting remarkable goals for the future. Washington is home to three American corporations — Microsoft, REI and Starbucks — that are leading the movement toward renewable energy. Universities, including Cornell University, Boston University and Colorado State University, have set similar goals. And more than 50 cities, from Edmonds to Atlanta to Georgetown, Texas, have committed to powering up with 100 percent renewable energy. States are beginning to act, too. Hawaii was the first state to pass a law requiring that all the state’s electricity come from renewable sources by 2040. 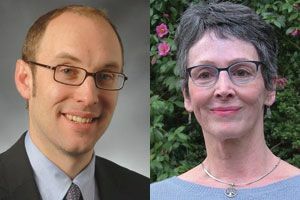 State legislatures in Massachusetts, California, Pennsylvania, Maryland, Colorado and here in Washington all are considering bills that would have them do the same. This interstate commitment is crucial for the success of renewable energy and, in Washington, we’re leading the way. U.S. Rep. Pramila Jayapal, D-Seattle, is one of the lead House sponsors of the 100 by ’50 Act, which aims to transition the U.S. to 100 percent renewable energy by the year 2050. Washington community organizations are strong supporters of the push toward clean energy. Denis Hayes directs the Bullitt Foundation, a group that seeks to promote sustainable communities in the Pacific Northwest and has been working to transition architecture and urban development away from dependence on fossil fuels. State incentives help Washington small businesses further their renewable pursuits, and cities from Mercer Island to Spokane are considering strong 100-percent renewable energy commitments and looking to take immediate steps to transition their economies. Given the headwinds we’re facing in Washington D.C., for now we’ll need to rely on local communities, colleges and universities, businesses and states to lead the way. The organizations and governments that are setting goals for a clean-energy future are acknowledging a crucial truth: The future we dream of is only possible if we get our energy systems out of the past. That future is dependent on ambitious goal-setting and the hard work of change, and it is starting now.